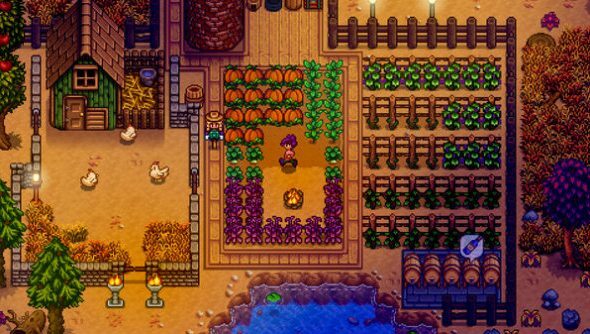 Stardew Valley’s latest patch adds a bunch of new improvements and tweaks to the breakout indie hit, including a couple more focused on improving the quality of married life. Find more small studio gems in our picks of PC’s best indie games. Following last month’s Stardew Valley patch– the on thatlet your spouse finally leave the house – this latest patch gives your other half some unique dialogue to use during festivals, and even makes your partner stand next to you during the Dance of the Moonlight Jellies. Your in-laws will also no longer treat you as a complete stranger – in the game, at least – and will recognise you as a member of the family. They probably realised how much money you’re set to bring in with the next harvest. They know you’re loaded, you see. Especially as this patch makes dying in the mines less harsh, with money lost capped at 5000g. Check out the full patch notes on Steam.